Working through his executive assistant Kelsey, I secured permission to observe the Haley Strategic D5 Handgun course he was teaching at Frontline Defense Firearms Training Center and Range from 16-18 November. I don’t know if Haley actually knew I was attending or if Kelsey just said yes to my request on his behalf. His email auto-response apologizes for his inability to respond to email and assures random correspondents that they are being treated no worse than his family and close friends. Haley’s initial uncertainty when I introduced myself could have been due to the fact that we had only met one time, twelve months earlier, and for just a couple of hours. But after his initial moment of misrecognition, he welcomed me to the class and I think eventually figured out who I was and what I was doing there. Travis Haley has a high enough profile in the gun training world that he doesn’t spend a lot of time drumming up interest in his classes. He teaches about 25 courses a year on the road, each capped at 25 students, and they typically sell out with waiting lists. The D5 course in NC was no different. The 3-day, $800 course was sold out, with 25 students enrolled. 23 showed up the first day and 22 completed the class (one person never returned after the first day). The majority of students were from North Carolina, but collectively they traveled from 8 different states, ranging from Arkansas to Georgia to Massachusetts. Just four of the students were women and four came from law enforcement/armed security backgrounds. So the modal student was a white, male private citizen. At one point, Haley remarked to me that gun culture needs to do a better job of tapping into underrepresented populations like racial minorities and LGBTQ people. Although this could have been a reflection on the enrollment in this particular class, it also echoed a comment he made when we spoke last year. “I was raised racist and homophobic,” Haley recalled. “That’s just how things were back then in Northern Florida.” As he has met more, different people over the years, he has become more open-minded and accepting of difference. The dragonfly adapts. Although Haley is well-known as a Force Recon Marine and Blackwater turkey shooter, his emphasis on the science of weapon manipulation tends to draw what he calls “a more cerebral student.” The course I observed included an ICU doctor, dental surgeon, accountant, orthopedic surgeon, photographer, architect, cardiac nurse, cyber security analyst, software developer, and exercise physiologist. 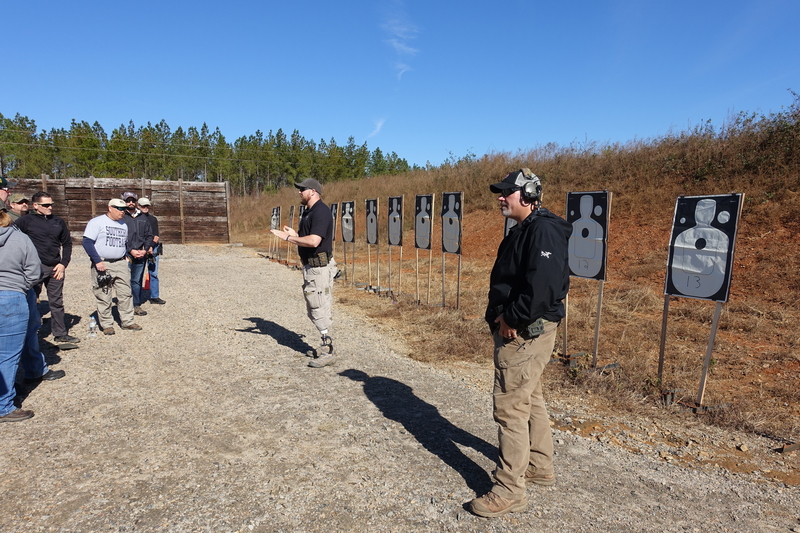 The D5 Handgun course is 30 hours, and in this case was divided equally between classroom time and range time. 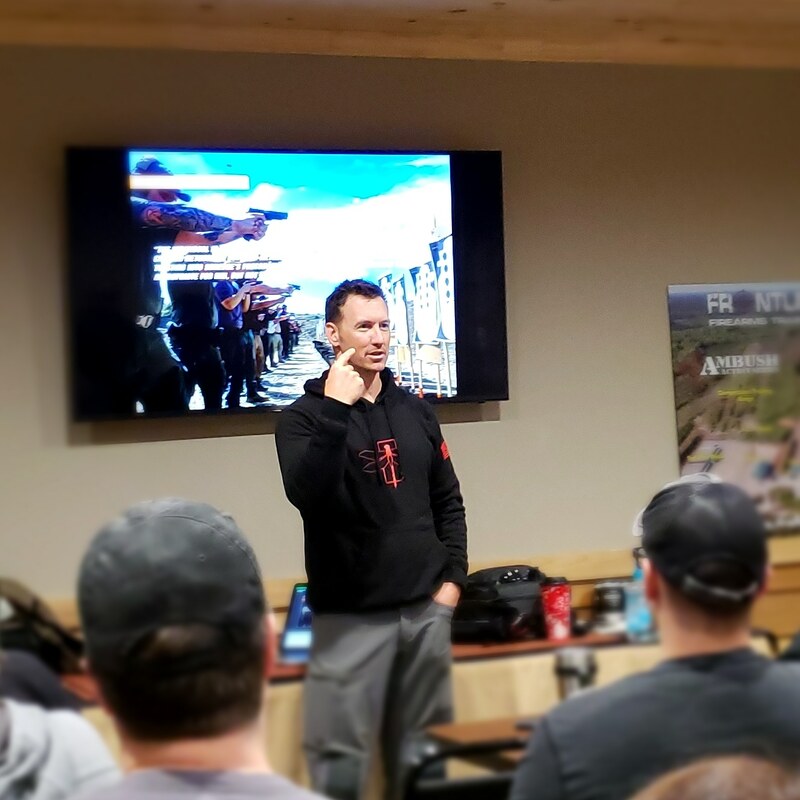 Haley himself does almost all the classroom presentation, but he is assisted on the range by Haley Strategic Director of Training Robert Bruce and AI/Medic Ben Bergamini. As an aside, Bruce’s story is as remarkable as Haley’s. Learn more about it on the Skillset Magazine Live podcast (Skillset Overtime #51, 20 September 2018). 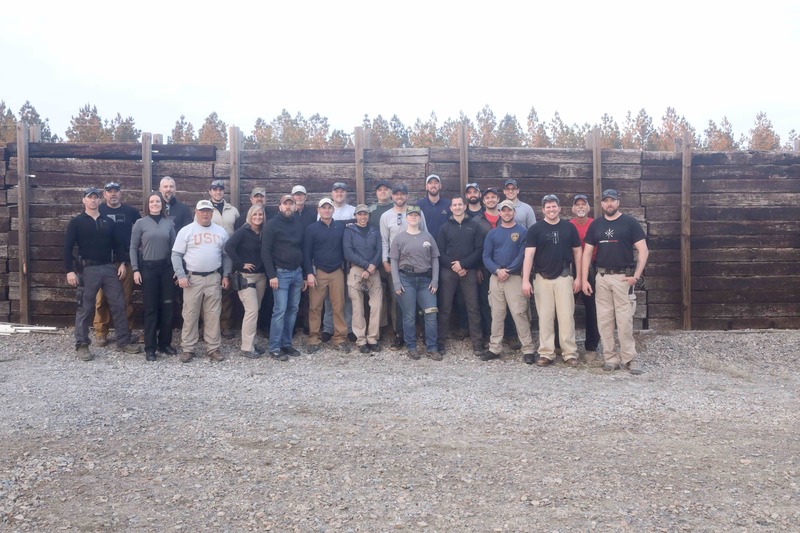 In several forthcoming posts I will discuss more specific observations about and lessons learned from the Haley Strategic D5 Handgun course. Stay tuned.